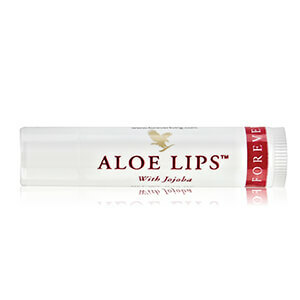 Forever Living’s skincare products contain the finest ingredients, using the purest form of aloe vera. These skincare, anti-ageing and cosmetic products are gentle on the skin, and work to enhance your natural beauty. With a commitment to quality and purity, we are passionate about helping everyone around the world to look and feel better! 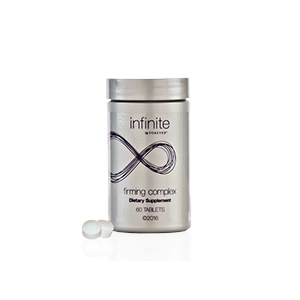 Focus on nutrient skincare with Firming Complex, Forever’s first exclusive beauty supplement. This supplement is an inner conditioning complex that helps target the appearance of premature ageing and it’s been specially formulated to assist beauty from within. We’ve combined vitamin C to help with healthy collagen formation in the skin, biotin to maintain healthy hair and skin and we’ve even added extra marine collagen. Collagen is an amino acid packed protein which occurs naturally in the body to give structure and tone to connective tissues. The Forever Alpha-E Factor is a light skin-replenisher, containing rich ingredients to balance the skin, reduce dryness and create radiance. With a powerful combination of vitamins, this premium product encourages a youthful complexion by helping to revive and nourish the skin; great for use after shaving. Essentially identical to the aloe vera’s inner leaf, our 100% stabilised Aloe Vera Gelly lubricates sensitive tissue safely. This topical thick gel soothes and calms irritation. A combination of aloe vera and methyl mulphonyl methylsulfonylmethane (MSM), this non-staining, clear gel soothes joints and muscles. An excellent product that no sports bag should be without. This ultra-fine powder contains a unique combination of rich ingredients that smooth, condition and cleanse the skin; it also contains camomile. 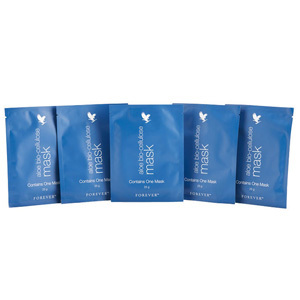 Blend with the Aloe Activator to create a rejuvenating face mask. Unlike some scrubs that use plastic microbeads, we use microspheres of jojoba which roll over your skin gently. As they roll, they pick up the dead skin cells that clog up pores and cause skin to look dull. 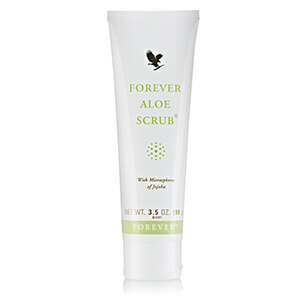 Gentle enough for everyday use for your face or body, the natural ingredients exfoliate and reveal healthy-looking skin. 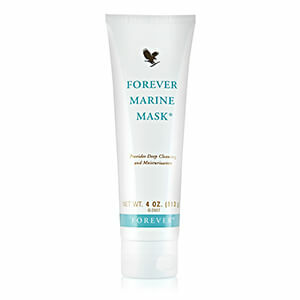 Whether it’s environmental stress, a long day, or the weather that has your face feeling drab and dry, the Forever Marine Mask can deeply cleanse and replenish the skin whilst balancing texture. With the moisturising and conditioning properties of aloe vera, honey, cucumber extract and natural sea minerals, this deep penetrating mask leaves the skin feeling refreshed and revitalised. Uneven skin tone, dark spots and blemishes can make skin appear older than it really is. Improve the appearance of your complexion and even out your skin tone with this exclusive formula. Retain, restore and renew a healthy-looking glow with a valuable combination of aloe vera, collagen and vitamins to maintain a healthy skin tone and texture. Contains AHAs to naturally exfoliate the build-up of daily dead skin cells. 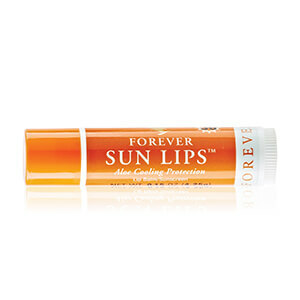 Use beneath your favourite Forever moisturiser. A silky moisturising cream – containing nourishing aloe, jojoba oil, collagen and elastin – that leaves the skin feeling soft and supple. 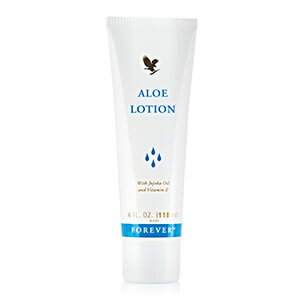 This lotion moisturises your face, hands and body whilst maintaining the skin’s natural pH balance. Its easy-to-absorb formula also makes a great base for makeup application. N.B. Suitable for people prone to dry skin conditions. Containing warming agents and aloe, this rich emollient lotion provides blissful relief from everyday stresses and strains. Great for warming up before exercise or soothing aches after a workout. 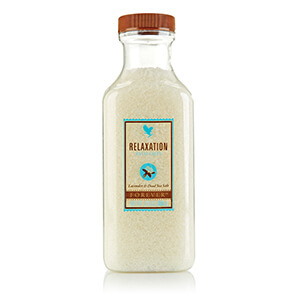 Also ideal for a warming massage to feel rejuvenated. 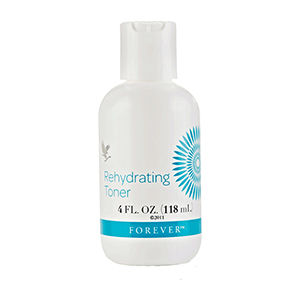 Alcohol-free toner with aloe, white tea and cucumber that refreshes and hydrates the skin. Use morning and night, after cleansing and exfoliating. Gentleman’s Pride is an alcohol-free aftershave balm that helps to soothe and condition sensitive skin after shaving. The silky smooth lotion can also double up as a moisturiser to revitalise the skin and calm irritation caused by razors or sun exposure. Rehydrating Toner is a non-drying, alcohol-free formula that contains natural aloe vera and witch hazel, together with special skin moist-urizers and plant extracts, for toning the skin. It also contains collagen and allantoin for cell conditioning. Rehydrating Toner is a gentle preparation used to remove the last traces of cleanser, makeup, impurities and dull, lifeless surface cells, thus providing good secondary cleansing and toning to tighten the pores. 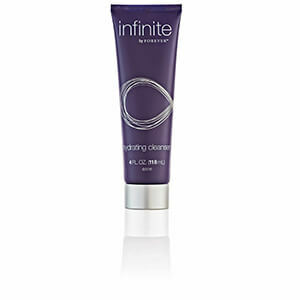 It removes residual oils and dirt while invigorating the skin and leaving it clean, smooth, balanced and stimulated. Rehydration is provided as the skin is gently refined. With over fifteen skin conditioning ingredients, Restoring Crème absorbs fast to leave skin feeling moisturised and smooth. This impressive cream combines skin science and aloe with powerful botanicals including acai and pomegranate, and vitamin B3 helps even out skin tone and texture. 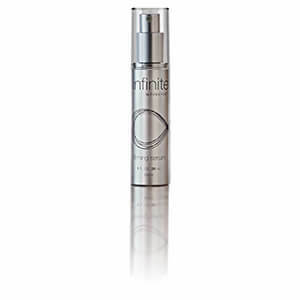 Use daily to reinforce the skin’s natural barrier, replenish parched skin and further reduce the appearance of ageing. Surround your skin in a veil of moisture with our Protecting Day Lotion. This silky cream contains over twenty skin-conditioning ingredients and shields your skin from harmful UV rays due to its broad-spectrum sunscreen with SPF 20. This natural mineral sunscreen contains key ingredients, including aloe vera, watermelon extract and plant extracts, to help fight against oxidative processes, improve skin’s tone and texture and provide ultimate hydration. Unleash your skin’s natural glow with Balancing Toner, a refreshing toner designed to remove excess dirt, minimise the appearance of pores and hydrate the skin before moisturising. With its unique blend of aloe, seaweed extract, white tea and cucumber, Balancing Toner helps to smooth skin’s tone and texture to leave you with youthful-looking skin. 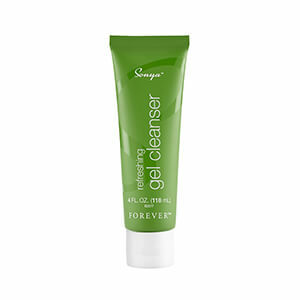 Use after your favourite Forever cleanser. 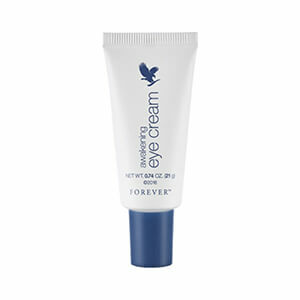 For striking, bright and beautiful eyes that sparkle all day long, try Awakening Eye Cream. Thanks to peptide technology, collagen and other powerful ingredients, this advanced eye cream smooths and firms delicate under-eye skin to help reduce the appearance of wrinkles, dark circles and puffiness. 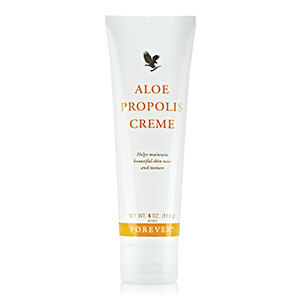 Great moisturising and cleansing agent containing enzymes and amino acids. 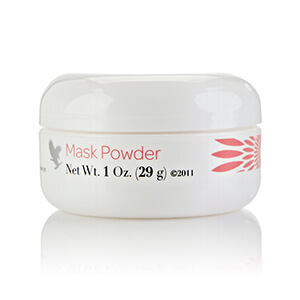 Blend with the Mask Powder and create a rejuvenating face mask that will help reveal radiant-looking skin. 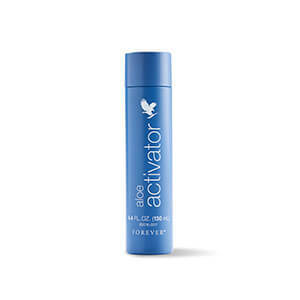 Aloe Activator can also be used daily when applied to the face with cotton wool. Filled with lush botanicals and powerful ingredients, Sonya Soothing Gel Moisturizer breaks down into a hydra-infused carrier leaving behind a moist and dewy complexion. With over ten natural plant extracts and oils, plus beta-glucan extracted from mushrooms, hydrolysed collagen and apple fruit extract, this formula gives combination skin the powerful soothing and moisturising properties it craves. Made specifically for combination skin which can fluctuate and vary greatly, Sonya Daily Skincare features a high concentration of aloe and other moisturising botanicals. Nature meets science with a revolutionary gel-based technology that helps to deliver the benefits of aloe where your skin needs it most, plus its light texture leaves you feeling refreshed and rejuvenated. Some moisturisers are like a drip of water; this moisturiser is like ten fire hoses! Sonya Aloe Deep Moisturizing Cream quenches your skin’s thirst by delivering moisture to the deeper layers. 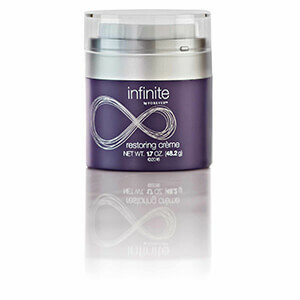 It also reduces the appearance of fine lines and wrinkles whilst promoting the elasticity of the skin. Includes pine bark extract. To be used after Sonya Aloe Nourishing Serum to lock in nutrients. Forever's Aloe Bio-cellulose Mask provides potent hydration thanks to forward-thinking technology and natural ingredients.